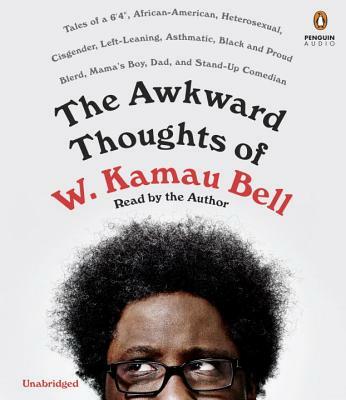 W. Kamau Bell is a sociopolitical comedian who is the host of the Emmy-nominated hit CNN docuseries United Shades of America. Before United Shades, Kamau was best known for his critically acclaimed but criminally short-lived FX comedy series, Totally Biased with W. Kamau Bell. The series was nominated for both an NAACP Award and a GLAAD Award. Kamau is also the host of Kamau Right Now!, a public radio talk show that airs on NPR radio station KALW in San Francisco, and a cohost of the podcasts Politically Re-Active and the memorably named Denzel Washington Is the Greatest Actor of All Time Period. Before pursuing a career in stand-up comedy, Kamau and his mom lived all over the country. He was born in Palo Alto, California, then moved to Indianapolis, Indiana, then Boston, Massachusetts, then Chicago, Illinois, with several extended visits to his dad's in Mobile, Alabama, mixed in for good measure. Today he lives in Berkeley, California, with his wife and family.